PRAGUE 1609. 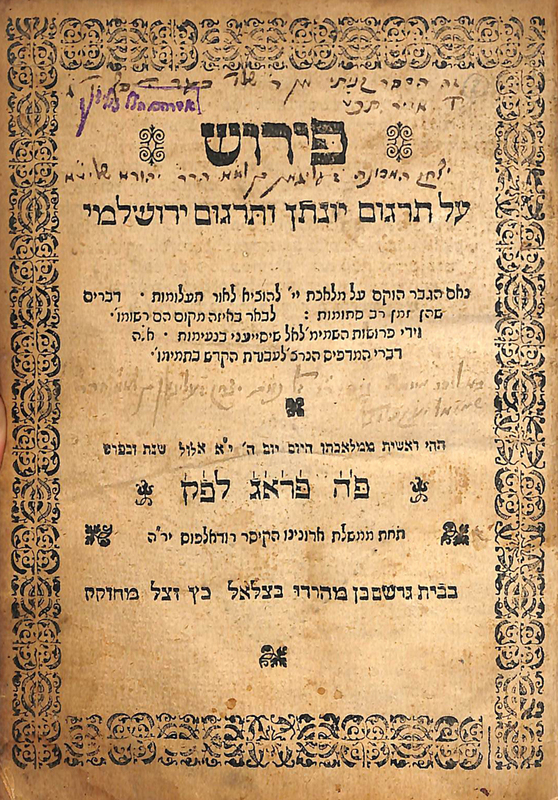 Early commentary to Targum Yonason and Targum Yerushalmi by R. Dovid ben Yaakov of Shebrichin. 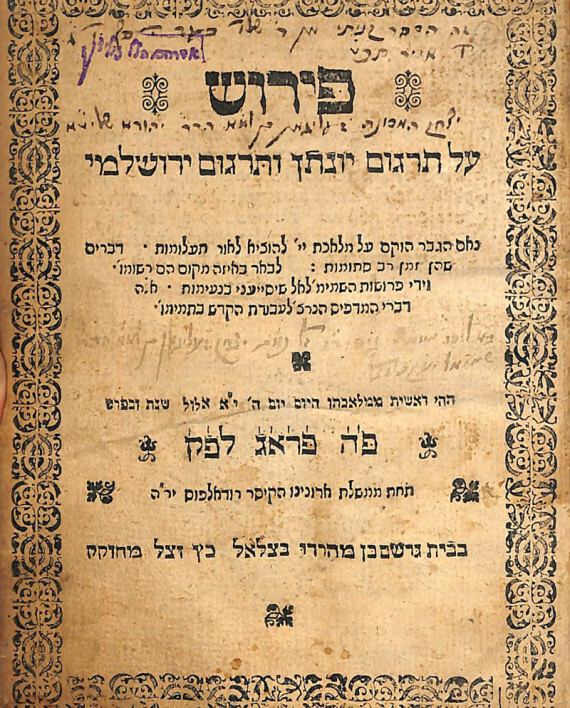 With an addendum on the Targum Sheini on Megilas Esther. Vinograd Prague 179. Gershon Katz press. 59 pages. 18.5 cm. Some staining with pages variously browned. Early unidentified signatures. Fine leather binding. Exceptionally rare.